It was to be a very humble wedding with the ceremony taking place at the local registry office and the wedding breakfast at a hotel in the town. However, humble didn’t mean mum was going to scrimp on our attire. She had plans for her boys – and we had the terrifying prospect of having to go clothes shopping with her! This would be interesting… Although, having said that, she’d have her work cut out going clothes shopping with us! The names of some of the shops escape me now but I’m sure there was one called Wengers or Waterloo House? This particular day, our shopping began in a shoe shop. Shoes were tried and bought, with a view to them coming in handy for school days after their wedding use. Shoes, I didn’t have a problem with. For kids our age there wasn’t the urgency to ensure we had footwear with the right label, as there seems to be in present day – except if your mum sent you to school in Derry boots, in which case the teasing bordered on cruelty! Thank goodness our mum allowed us at least a smidgen of agency to contribute to shoe choice. I was more than happy with my new shoes – nothing exciting; a flat shoe with a brogue-style pattern on the top. Real leather was out of the question, too expensive – so man-made souls and uppers it was. Trousers were easily procured too. No fuss there. Plain black polyester trousers with bell-bottoms…you’d be lucky if you could see your new shoes under them! Mustn’t complain, it could’ve been beige crimpoline trousers (similar to those – minus bell-bottoms – you still see for sale toward the back of Sunday newspapers, or in the bland magazines you’d likely find in a doctor’s surgery or dentist waiting room – alongside the typical Readers’ Digest magazines), with patent leather beige shoes with a platform, to match! Toward the end of a typical shopping day, we were on occasion allowed a treat. Usually in the shape of a toy of some description. My brother usually wanted to forgo a toy and just have some money for sweets to take home – I always asked if I could go to a book shop – I liked books better than toys – although I was partial to the odd sweetie and, sometimes after much protest from my brother and the insistence of mum, I would end up depriving him of at least a small share of whatever sweets he’d chosen. The very last thing we needed to look for was a jacket each. We tried jackets of all styles and sizes and my brother kept insisting that he should have the black, pvc, leather-look jacket he’d come across. Mum liked this. I didn’t. She was trying to persuade me that I should have the same style so that we would match, and besides, it was quite stylish. Style? What did I want with style? Give me a plain t-shirt and a scruffy old pair of black sandshoes and I’d have been happy with that! I was not about to give in, no way. 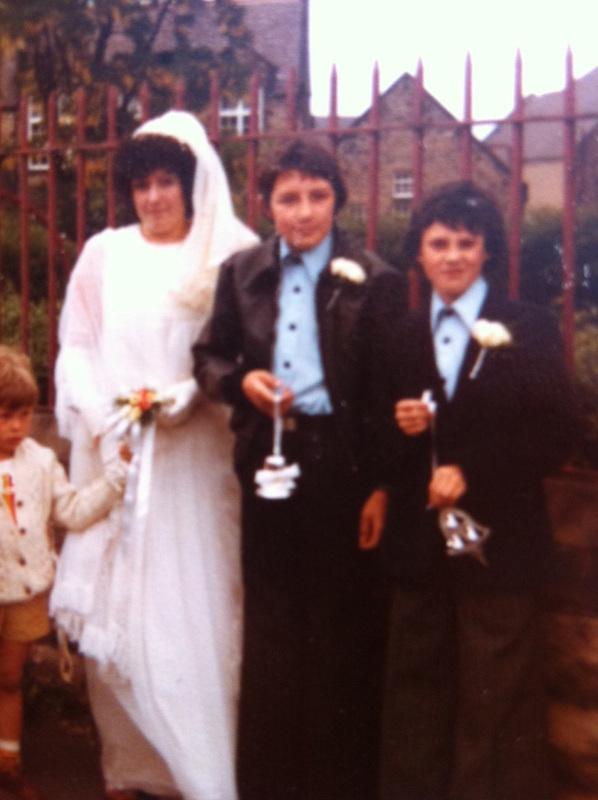 I didn’t want the same jacket as my brother – I insisted it looked plain and common – a little contradictory considering I’d have been happy at the wedding dressed nice and scruffy. By this time I suppose I was being deliberately obstructive and, for sheer devilment, I spied the perfect jacket and demanded that that was the one I liked. It was a complete contrast to my brother’s coat – but I was being obnoxious. 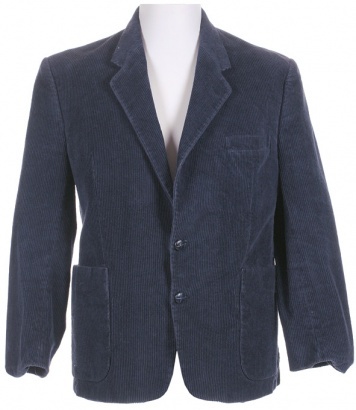 It was a very formal dress jacket, dark blue and corduroy. Horrible. It was single breasted and had a vent in the back. Yes, granted, I can seem a bit of a snob…but not back then, this was naked mischief, nothing less. Mum didn’t like this. By now she was becoming a little annoyed at my moody persistence – I wanted that jacket. Her argument was that after the wedding there wouldn’t be much opportunity to wear it again and that it wasn’t wise to spend all that money on something so hideous, that I would more than likely grow out of in a short time anyway. My stubbornness succeeded in mum ticking me off quite vociferously in the middle of the store. She decided that both jackets should be left where they were, we go off and have a cup of tea – or a glass of pop – then come back and think again… At the risk of a slap, I asked, “can I have coffee?”. My brother spied something nearby on the floor. He’d found a lipstick. I could see the look on his face and he was desperate to take this lipstick and draw on something. It wasn’t too long until my he decided that it would assuage his boredom if he pinned me down and painted my face. He was quite a bit bigger than me, a little tubby, thus heavier and stronger. Passers-by I’m certain noticed nothing but two lively children play fighting around the floor. Pinned and struggling, there was absolutely nothing I could do to stop my brother plaste ring my face with lipstick! On the bus ride home, two little boys sat quietly, heads lowered and shamed. Their mother sat in the seat behind them with a face like thunder.